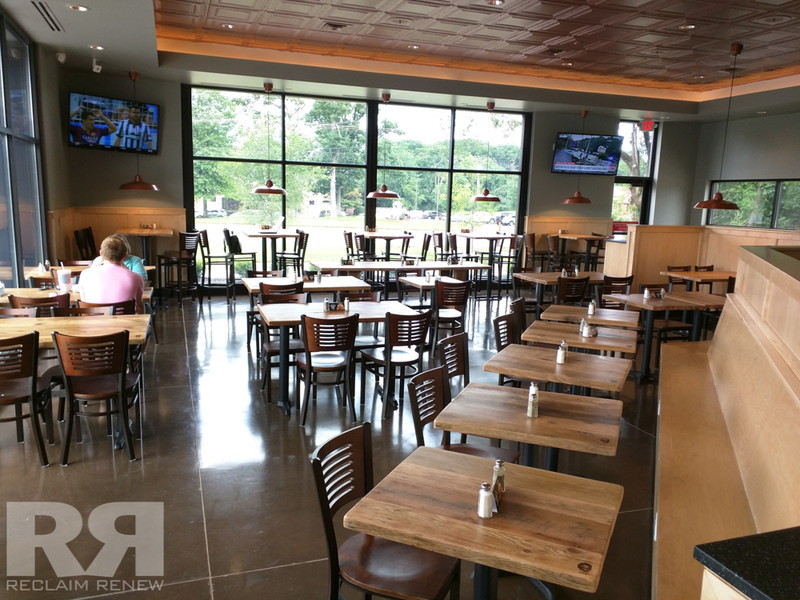 At Reclaim Renew, we offer custom design options for restaurants and stores as well. Durability and longevity are not a worry with our products as we use high quality finishes. Whether it’s a bar display case with corrugated tin, a barnwood wall for that “WOW” factor, tables, benches for optimal seating room, or hostess/checkout station we can make it for you and your business.